They say that one small act of kindness or good has the potential to cause a ripple effect of incredible change. Today’s Promises a pending 501(c)3 organization is doing just that by helping change the lives of Haitian children affected by the 2010 earthquake that shook the country to its core causing catastrophic amounts of devastation. The organization’s mission is to empower, educate, feed, shelter, love, and give hope to these incredible children. Today’s Promises emerged as a continuation of the work started by The Mission Light Church of Life in Haiti. The Mission Light Church of Life after the 2010 earthquake established an orphanage as a way to help children affected and left parentless by the natural disaster that killed many. Despite the church’s intentions they simply lacked necessary resources to keep the provisions up for the children. Inspired by the incredible work being done to help these incredible kids Today’s Promises emerged and has been working ever since to provide and change these young lives presently and in the future. 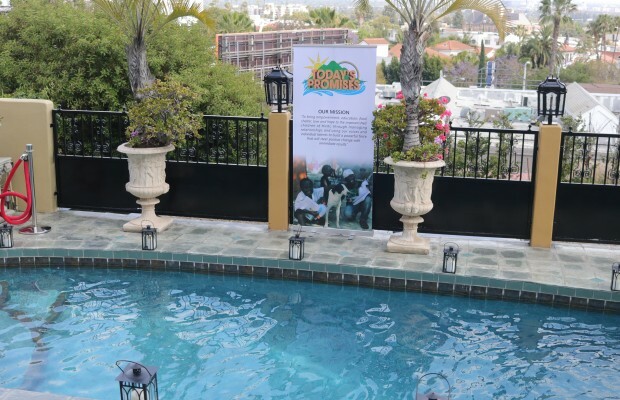 To raise awareness and funds for the children Today’s Promises hosted a Poolside Fundraiser at Bella Villa Sul Monte in Los Angeles, California. 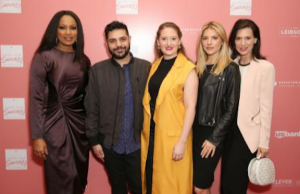 The poolside fundraiser helped raise awareness for the children and provide them with all the materials necessary for them to thrive going forward. 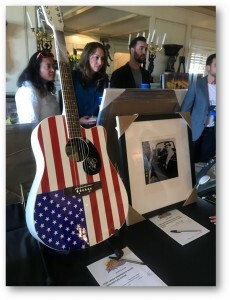 The villa was filled with various auction items signed by different celebrities such as The Beatles, Carrie Underwood, Katy Perry, and showcased various artworks for guest to bid on. Auction proceeds raised would be going towards helping these children. Attendees were also able to experience the insightful stories on the children being helped by Today’s Promises. Giving people a real opportunity to learn about these amazing children and put faces to cause.